HNHH premieres QuESt's latest, "Hunger." In preparation for his upcoming mixtape, Searching Sylvan, QuESt has been hitting up with leaks from the tape for the past few weeks. Following "May 10th, 2012," "Automatic," "Lost Niggas" and "Struggle Rapper," HNHH is excited to premiere "Hunger," another track produced by 6ix. 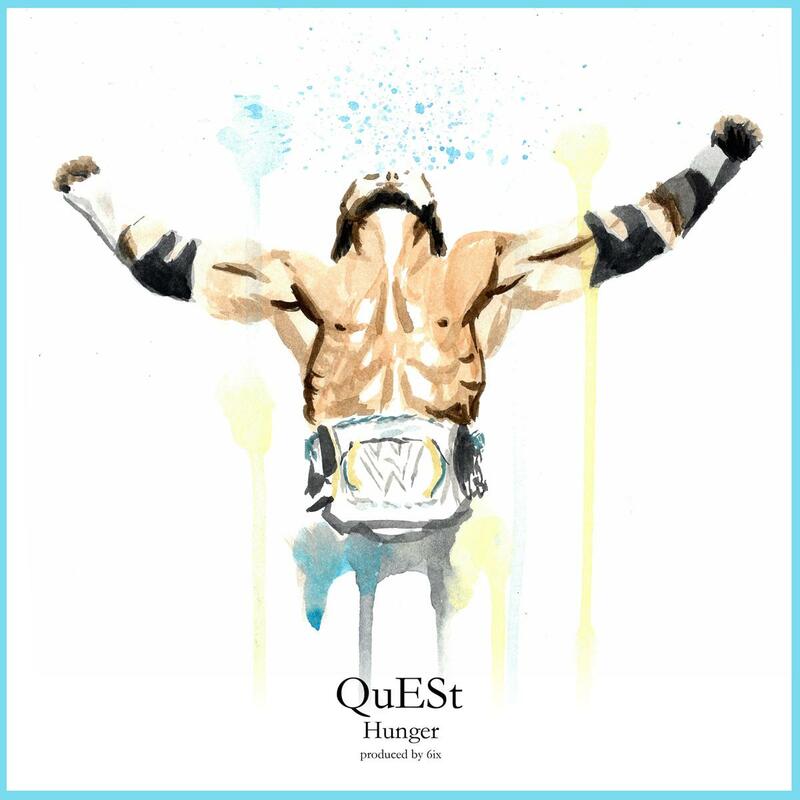 Featuring artwork done in the same style as the other Searching Sylvan leaks, the "Hunger" artwork shows a pro wrestler flexing with outstretched arms -- a perfect visual encapsulation of QuESt's powerful, triumphant rhyming on the track. 6ix gives him production fueled by operatic vocals and tempered, well-executed percussion, never distracting from the MC but providing him with the perfect atmosphere.